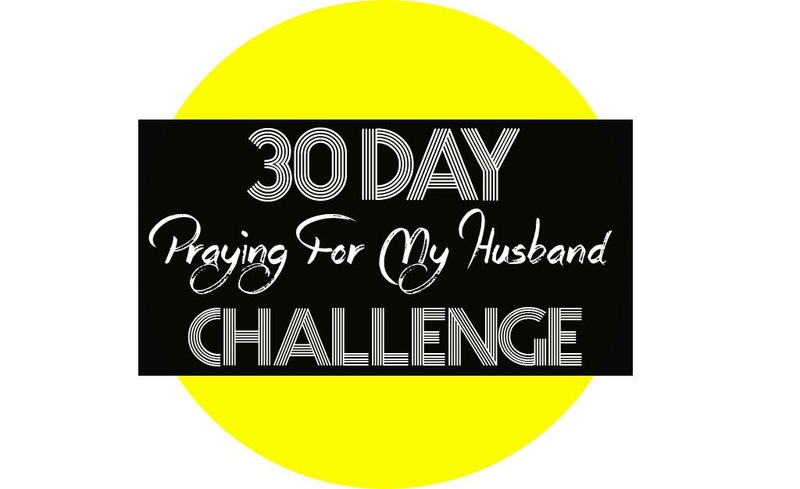 Today is the final day of our 30 Day “Praying For My Husband” Challenge. Some of you have prayed every day, and followed every word, and others of you have done your best with your schedule. Thank you to all of you for listening to my heart. I hope you have truly connected with my heart’s intent in this challenge. God’s people must pray! Wives need to pray for husbands, husbands need to pray for wives, churches need to band together and pray for each other, and for a great move of God to sweep across this nation. There is simply nothing in our lives that we should not be praying about and including God in. It is when we “acknowledge Him in all our ways”, that He directs our paths. If this challenge has gotten you even the slightest bit focused on the urgency of the Body of Christ learning to pray, and especially praying the Word of God, then every day was worth it. As I stated in the introduction to this challenge, my main hope was to encourage wives to boldly cover their marriage and their husband in prayer and watch what God would do in both of you. My second hope was that in setting yourself a 30 day goal, you would develop a habit of daily meeting with Jesus, falling in love with His Word, and the power He has promised us in it. God still hears and answers the fervent prayers of a righteous woman! Let me close our time together with a few verses I love. The first one starts out, “I was so foolish and ignorant …” (that’s how I feel every time I allow anything the keep me from the Word and fellowship with Jesus in The Secret Place). yet I still belong toYou; you hold my right hand. The amazing thing about “The Secret Place” that you have set-apart for only you and Jesus, is that He never leaves that place. He never falls asleep, He never turns His back in offense. He waits. Always go back, no matter how long you have been away. Praying the richest of blessings upon you and your marriage as you continue to cover it in prayer. Valerie, I have so much appreciated every post. Some were more of a challenge than others, maybe because I needed them more. Thanks for being so transparent & allowing God to use you. I regret not saving all of them.